What methods do you use to prioritize new features? How do you measure the benefits in order to prioritize those new features? What was your path to becoming a PM and what was most important in getting you to where you are now? What techniques do you use to come up with new ideas for features to implement? Both incremental updates and more ground-breaking ideas? What is your recommendation for software engineers wanting to transition to a PM role? I am in the legal industry and it's pretty slow moving and conservative. How would you brainstorm given any constraints or opportunities? Do you have advice for founders and early startup employees on how to best share their story and experience when applying to PM roles in large corporations? What is your advice for those aspiring to transition into product with no prior experience? Which companies to target, what skills to highlight and which courses/certifications to consider? 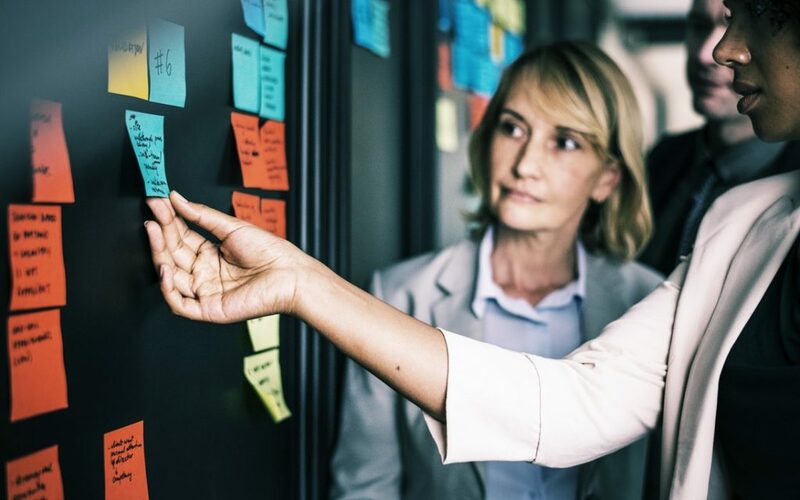 What are the processes for implementing new systems with KPI metrics tracking, prioritizing process improvements, dashboards, design and blueprint? 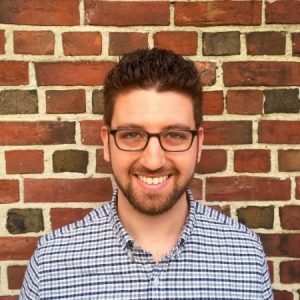 What is your advice on how an engineer moving to product can best work with the team in order to make a smooth transition? What are your processes from idea or feature inception to product deployment? How do you make the best use of everyone's time, resources and get the most impact? How would you differentiate a PM and UX manager? How do you stay on top of what's happening in the industry? What is your recommendation on books or additional resources that help your job as a PM? What are the key metrics you would suggest using as a Product Manager? To what extent do you suggest data analytics knowledge for PMs? Any tips for someone looking to break into the AR/VR industry (in a product or business function)? I am in the legal industry and it’s pretty slow moving and conservative. How would you brainstorm given any constraints or opportunities? What are your processes from idea or feature inception to product deployment? How do you make the best use of everyone’s time, resources and get the most impact? How do you stay on top of what’s happening in the industry? Curious about the life and world of a Product Manager? What is it really all about? Then read on for our most recent #AskMeAnything live chat session with our Slack community and Brien Buckman as he goes over some tips and tricks for being an effective PM. Enjoy this inside look at the PM world and join us live next time to ask your own questions! Brien works at Magic Leap, where he is excited to help define, build and ship new products that delight customers. Previously, he worked within MasterCard‘s Digital Labs group, for Apple‘s education group, founded an HR SaaS company that was acquired and consulted for a university technology incubator working on nano-particle production. 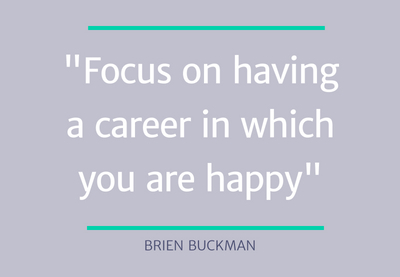 Outside of work, Brien enjoys traveling to new places, eating good food and supporting entrepreneurs. This is one of the core roles of a product manager. The general answer I can give you is “by impact”. What that impact is depends on the particular circumstance (could be dollars, could be user drop off, etc). Overall, this goes to the heart of your product’s key performance indicators (KPIs); once you have defined your KPIs, you should have an easier time making a prioritization call! Well, I would say that my path into Product was non-traditional, but I would also say that there is very rarely any “traditional” path into Product. 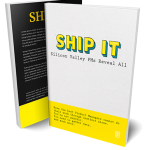 If you are pretty sure you want to do product management (as opposed to marketing, sales, business development, engineering, design, etc. ), then my recommendation would be to focus on getting as horizontal an experience as possible. PM skills are usually T-shaped (general, but depth in particular areas). I would recommend that you find those areas and seek experiences that will give you a lot of varied experience. I would say there are three areas I look to for these scenarios: 1) I am always looking at how the existing product is being used and attempting to understand root cause. So, for example, if I see a drop-off on a particular page, diving into how that can be improved. 2) Customers are often very willing to tell you what they want, particularly if there is something wrong. Customer surveys, interviews, etc. are great sources. 3) Your team! The people you are working with (directly or indirectly) are often experienced in what you are building, so they may have some fantastic ideas! 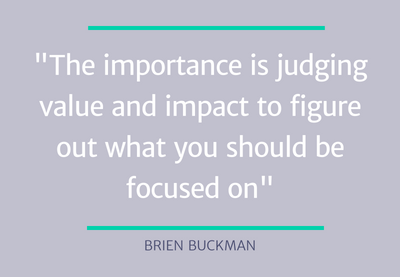 Overall, the importance is judging value and impact to figure out what you should be focused on. This is definitely an industry where I am not very knowledgeable and I assume there will certainly be constraints, but I imagine there are a lot of efficiency and experience enhancements to be made. My recommendation would be to look for inspiration on possibilities outside the legal industry, and then evaluate with your subject matter experts what is feasible / ideal! Early-stage employees / founders often have their hands in a lot of different things (marketing, sales, engineering etc.) at once. This is particularly useful in product management, as product is often a generalist role. The difference can be, at large companies, there are a significant number of employees with specialized focus. If the company you are looking to get in to has these specializations, the best thing you can do is look for or apply to roles that are in a similar industry OR have a similar business model to the startup you worked at. This depends on your prior experience. For some people the answer is getting a masters (MBA or something specialized and relevant to the industry you want to work in). For certain companies, there are opportunities to move horizontally (see a previous answer I gave). When applying, like any job application, illustrate how you fulfill the requirements of the posting, but also illustrate how you can do even more! This depends on the product type. There are a lot of third party vendors for each type of platform! Ultimately, the tools you select should enable you to track the KPIs that are vital to your product. Sorry I don’t have any specific solution – your solution SHOULD be relevant to what you are doing, in particular. Many engineers who transition to Product don’t make the transition consciously. My advice is to acknowledge the transition with your team and discuss with them the expectations of yourself and them. Have a discussion with them to address your concerns and let them address theirs with you. One team, one objective (just different hats)! In general, the process should be about validating – does the idea make sense, what is the value it can deliver to customers? Maybe sketch out what an implementation might look like (I’m old fashioned – I literally sketch in a pad). The focus should be on critical path – what is the MVP of this idea? Start to validate with internal stakeholders (does it make sense, what would you change and why). And then, for things that make sense to move forward on (fits company objective, can deliver real value, etc), start to move to higher fidelity – actual wireframes, sketch (the program). Put it in front of customers, get feedback, observe, survey. Constant iteration is a goal, with the ultimate goal to be to ship the MVP and get real customer feedback! This is tough because it varies in different types of organizations and products. In general, I would say that the Product Manager should define the “what” and the UX manager should define the “how.” Example: The PM says “we need to have a sign up form that includes collecting email, an opt in to marketing emails, and confirming that the submission went through” and the UXM may say “the form should be this big, and this animation should be on the button”. In reality, both people will work together on these and there may be some overlapping activities (eg. maybe the UX manager does an initial sketch rather than the PM), but that is how I would generally differentiate them. Blogs and Twitter are great sources for me. There is SO MUCH content out there from people who are experienced in their field that it can be daunting. I recommend setting aside some time every day to focus on this (after you’ve curated sources, of course). I also watch what is happening in terms of venture rounds to see who is being invested in (up and coming companies!). There are A LOT of resources available – my recommendation is following people and organizations on Twitter who write original content but also share other worthwhile content. There are curated sites (like First Round’s site) that consolidate thought leadership, as well. You should be able to use the tools that the organization is using. For some, that’s being able to drill through google analytics. For others, it is being able to do some simple SQL. Just as important as pulling the data out is having an understanding of what the data SHOULD reflect. So whether 50% drop off at this point in the flow is normal, good, or bad, for example. Stay organized. As a PM, you will be involved in a LOT of different areas, so it is important to keep on top of everything. Question things. I’m not saying you should go up to your boss every five minutes and ask them to justify their directive, but you should understand why the product is being built a particular way and with as much data as possible (quantitative and qualitative). PMing is not being a boss, it is being a facilitator. Relationships are very important, so be sure to try at them! Product is different in different companies, and potentially even within the same company. Find a group that is a cultural and tactical fit. Finally, focus on having a career in which you are happy.